A ride so hot and humid, we couldn’t figure out what we were doing. 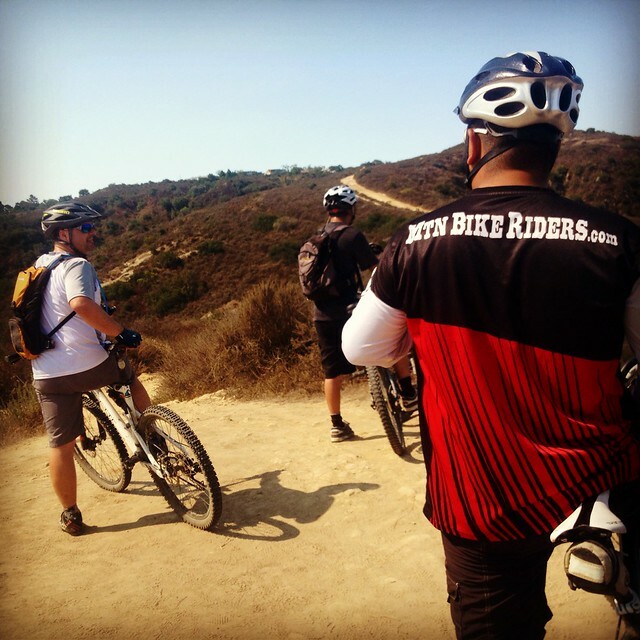 On Saturday a few of us set out for a ride through Aliso Woods. Normally it’s pretty cool there because it’s within walking distance from the ocean. Walking distance would mean like a few miles. I’m sure you could walk it, but I wouldn’t want to. Anyhow here’s a view from Lady P’s perspective as we’re trying to figure out where we were headed. At a certain point the heat just made things worse for all of us. Personally I had already bonked after the first climb, while Doc Thunda and our friend Josh had mentioned they were out late drinking and partying as it was 1999. Here we are at another junction on the trail, not really sure where to go, the heat had clouded out judgement. Eventually we figured out what we were going to do. Here’s my vantage point after the ride…I was beat! Heat is one thing that I consider such a buzz kill. I can handle the cold, but the heat is something else. It’s not like I can dress down any further when it’s hot. Besides I really doubt that anyone would want to see me riding in my birthday suit and if I fell, can you imagine how much road rash I’d get! Yikes! 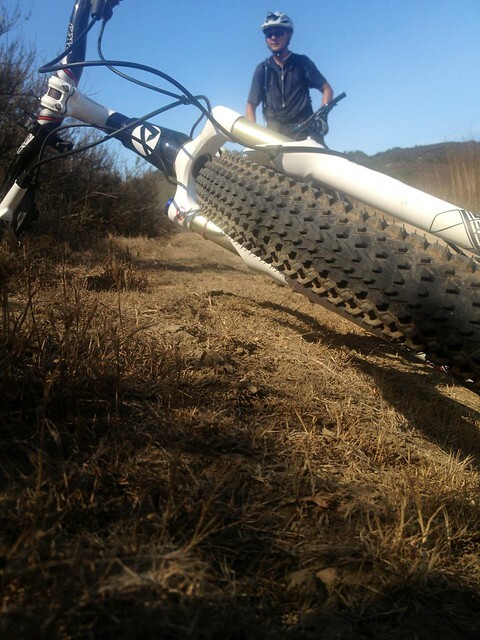 When riding solo…do you pretend you’re in a race? Previous PostPrevious Where do you buy your bicycle stuff from? Next PostNext Mobile Bicycle Repair does it again.